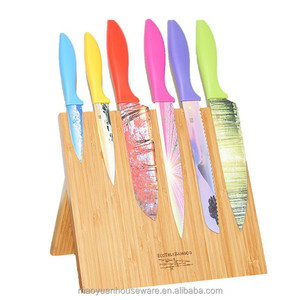 Jian'ou Baiyi Houseware Co., Ltd.
Yangjiang Xiongfa Industrial Co., Ltd. If you want custom models,simply send us your specifications and we"ll have samples ready in three to four weeks. All of your OEM orders will be completed in our 6,000 square meter factory for better quality control. That"s because we have 10 inspectors, each with five years of experience, on the production floor to monitor every step. Yangjiang Yangdong Xinzuo Industry Co., Ltd.
Yangchun Qianfeng Electronic Technology Co., Ltd.
Yangjiang Handhome Electronic Commerce Co., Ltd.
Loyoki workers of production department need to be trained before become a formal worker. Loyoki production equipment needs to be checked or repaired monthly. Loyoki will be responsible and deal with these matters actively to satisfied customers. 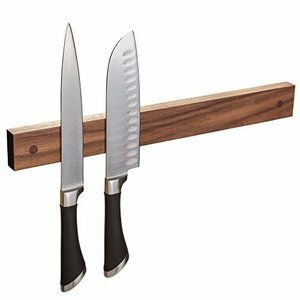 Our magnetic knife bar grip securely,easily releases knives,kitchen gadgets and tools. 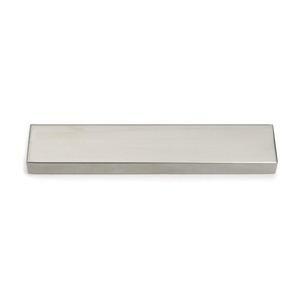 Use this magnetic holder in the kitchen,office,laundry room or garage to hold any metal objects. 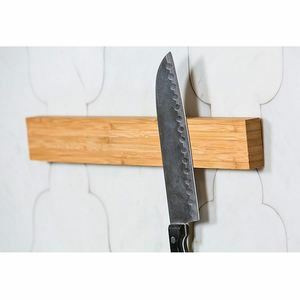 3.Very convenient to store all kinds of knives,curlery and metal tools. 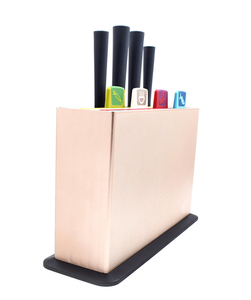 - Magnetic knife holder can avoid the tool in the drawer in mutual rubbed, edge protection. --- Disadvantage: You need to take the goods from the airport by yourself. --- Disadvantage: Slow and you need to take the goods from your destination port by yourself. Small footprint on your countertop: a smart and sleek storage solution. 2) Before shipping, you can have professional inspection agency to inspect the goods. 3) Trust assurance order are welcomed if we are new for you. 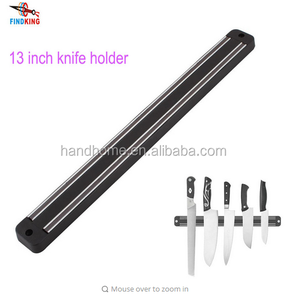 Alibaba.com offers 13,648 knife holder products. About 17% of these are blocks & roll bags, 15% are storage holders & racks, and 12% are magnetic materials. 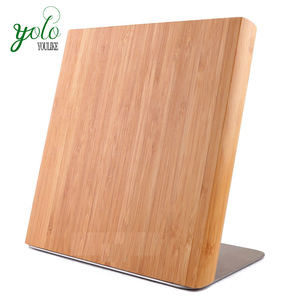 A wide variety of knife holder options are available to you, such as plastic, bamboo, and wood. You can also choose from sundries, tools. As well as from eco-friendly, stocked. And whether knife holder is free samples, or paid samples. 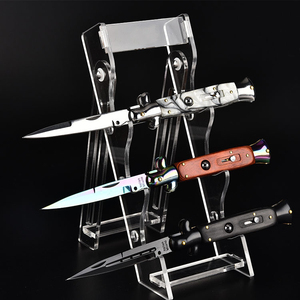 There are 13,605 knife holder suppliers, mainly located in Asia. 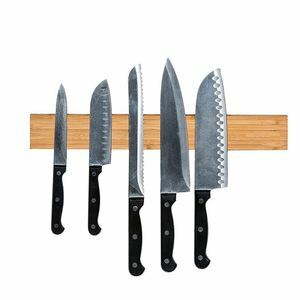 The top supplying countries are China (Mainland), Pakistan, and India, which supply 96%, 1%, and 1% of knife holder respectively. 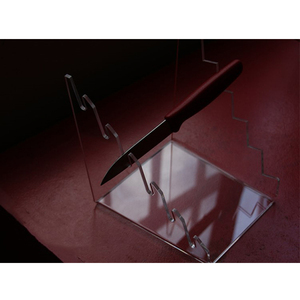 Knife holder products are most popular in North America, Western Europe, and Eastern Europe. You can ensure product safety by selecting from certified suppliers, including 1,947 with ISO9001, 1,374 with Other, and 553 with BSCI certification.